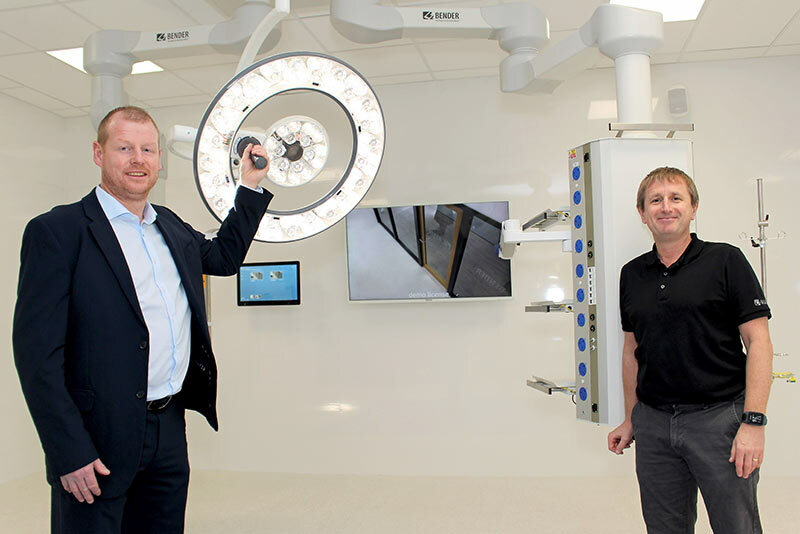 A new purpose-built operating theatre has been completed to offer a world-class training and demonstration base for new and existing customers to experience Bender UK technology first-hand. 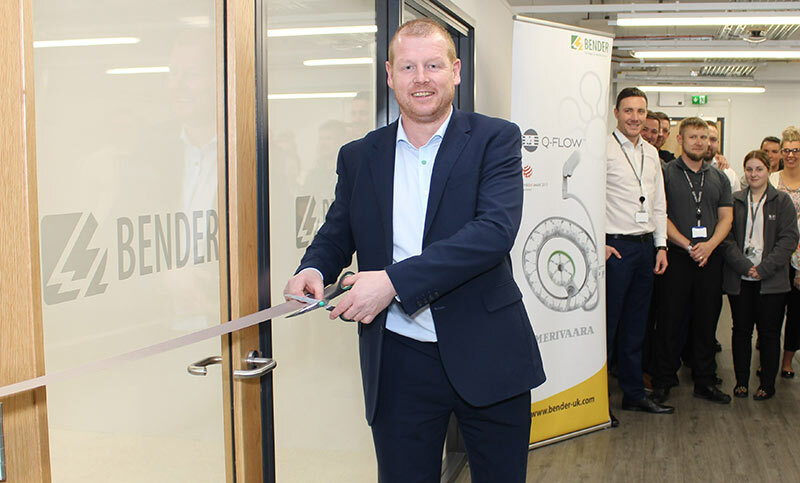 The new state-of-the-art theatre showroom was formally opened by Managing Director Gareth Brunton on Monday 5th November, during a first customer visit by Manchester University Hospitals. 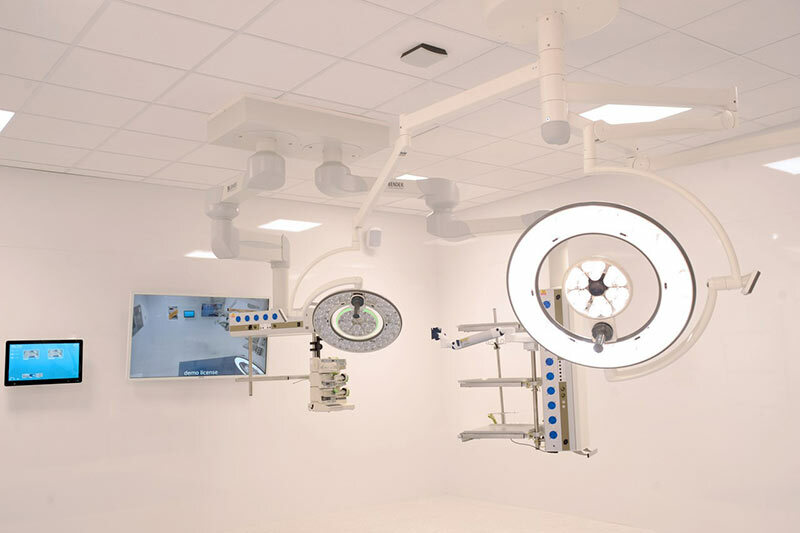 The demonstration room showcases theatre and clinical equipment offered by the company as part of its turnkey healthcare solutions for new build and hospital upgrade programmes. 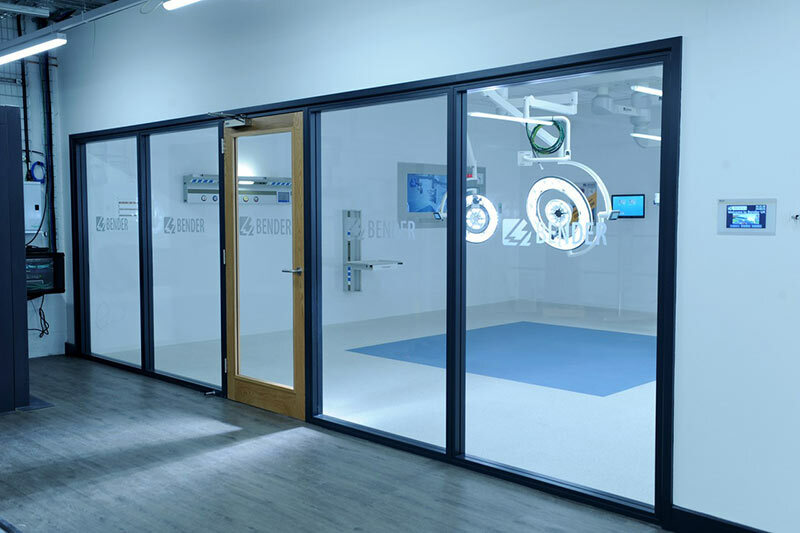 It is connected to a plant room with medical IT power systems or isolated power system (IPS) and uninterruptible power supply (UPS) to replicate power for group 2 medical locations, simulating events such as loss of power and shut-down. High specification equipment on display in the showroom includes Merivaara surgical lights and HD camera (exclusively distributed by Bender UK), new Bender clinical pendants delivering safe power, medical gases and data, Bender touch screen theatre control panels with 42” PACS screens, vertical and horizonal aluminium bedhead trunking, AV and video routing system from Jones AV and multiple display screens and monitors from Barco. Bender UK is a leader in the provision of turnkey healthcare solutions incorporating medical IT/IPS power systems and uninterruptible power supplies delivering no-fail power to critical ‘group 2’ areas, and the supply and installation of clinical equipment for operating theatres. Bender UK has over 500 private and NHS healthcare customers and provides maintenance support 24/7 365 to more than 350 hospitals in the UK and Ireland to ensure equipment is correctly maintained, repaired - ensuring hospitals meet statutory inspection requirements.